“A philanthropic foundation in Syracuse has stepped up to help fight lead paint poisoning in children,” writes Michelle Breidenbach in the Syracuse Post-Standard. The effort, says the Central New York Community Foundation, will include disbursing $2 million in grants over four years, as well as engaging in broader advocacy work. “At least 600 children in Syracuse were poisoned by lead paint last year, according to the Onondaga County Health Department,” writes Breidenbach. “Eleven percent of children tested in Syracuse in 2017 had elevated blood lead levels.” In a related article, Breidenbach notes that most of the children are tested when they are one or two years old, as required by New York state; still, health officials estimate that at least 30 percent of children don’t get tested. The health impacts of lead poisoning are far ranging. 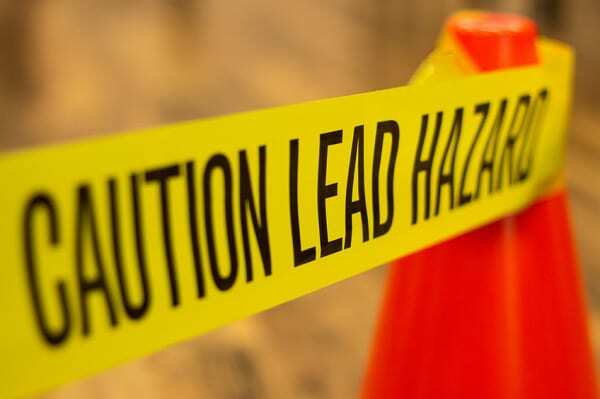 “Lead inhibits the bodies of growing children from absorbing iron, zinc and calcium, minerals essential to proper brain and nerve development,” according to the Agency for Toxic Substances and Disease Registry, which operates within the federal Centers for Disease Control and Prevention. Banning lead from gasoline has dramatically lowered lead poisoning in children, but lead paint and lead in water pipes are still major sources of hazard. Federal figures, based on a 2016 study conducted of children between 2007 and 2010, indicate that 2.6 percent of all US children still suffer from lead poisoning, a number “which represents about 535,000 US children one to five years of age.” Common impacts include attention-related behavioral problems, decreased cognitive performance, and greater incidence of problematic behavior. In addition to offering grants, the foundation aims to boost current public sector efforts. Indeed, the census tracts selected were chosen in coordination with the county health department. Syracuse and Onondaga County have also submitted a grant application to the US Department of Housing and Urban Development (HUD) for $4.1 million for abatement funds. Our kids are not alright. Syracuse is not alright. As a community, we are facing a crisis of astounding proportions, and it is affecting our children first and foremost. There is no safe blood lead level in children and once its damage is done, it is irreversible. Ingestion of lead can damage brain development and rob children of the ability to reach their full potential. Lead in the human body has been found to reduce brain function, impacting the skills needed for academic success, physical activity and social interaction. It can lead to a higher likelihood of attention deficit disorders, absenteeism, criminal behavior, violence and suicide. The lead poisoning of our children is a social, economic and environmental injustice that is simply unacceptable. Religious language of morality meets recent decisions designed to terrorize immigrant women and children.